LEAD Student of the Month! April Student of the Month,Devin! April:Congratulations to Devin Cates for being chosen as the April LEAD Student of the Month. Devin was nominated for his work in helping to plan Paul Morrison Service Week, which was part of the LEAD 100 class. During this project Devin showed exemplary leadership, teamwork and participation with his group. Devin’s favorite LEAD memory was the social in the Drake Park after the Paul Morrison Neighborhood Spruce-up! Outside of LEAD Devin is a member of the football team, as well as the community service captain on his team for the VA hospital. Congrats to Devin! March Students of the Month, Becca, Sammie, and Maddy Dean! March student of the month Becca, sammie, and maddy: Congratulations to Becca Jones, Sammie Bachrodit and Maddy Dean for being nominated as this months LEAD Students of the Month. The girls all play on the basketball team and where nominated for leading the to two undefeated seasons. All three girls have volunteered with the basketball team to work with youth and complete other service projects. Becca’s favorite LEAD memory is taking Lead 50 with Maddy and Sam. 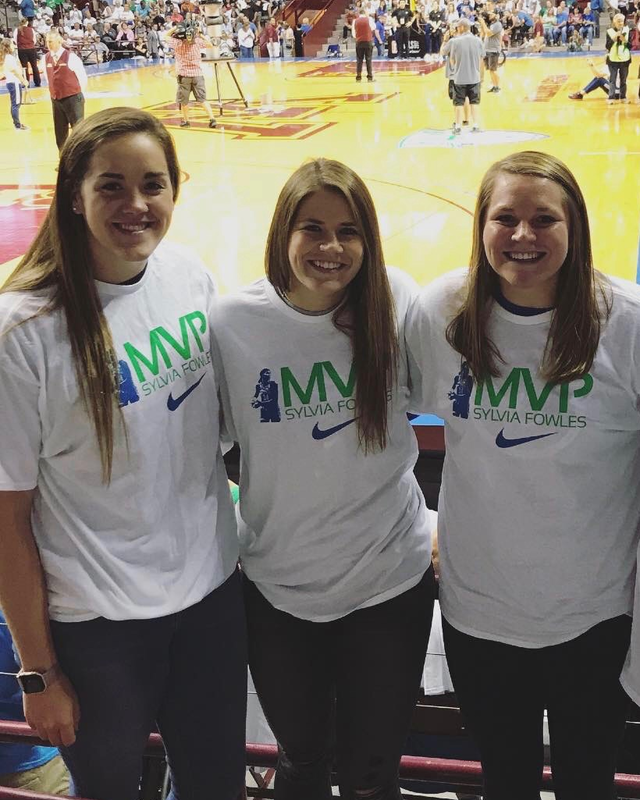 Sam’s favorite part of LEAD is connecting with other leaders at Drake. She said she has formed great friendships with other that she probably would not have if it weren’t for Lead. Maddy’s favorite memory is working with her LEAD class to create the LEAD Discount Program. Congratulations to Becca, Sammie and Maddy for being chosen as this month’s LEAD Students of the Month!! January Student of the Month, Jessica! January student of the month Jessica: Jessica was chosen as the January Lead Student of the Month because of her involvement is the J-term Lead at Sea. During the J-term trip Jessica demonstrated tremendous leadership skills both on and off the boat. Jessica is currently a P2 student. She is also involved with Kappa Psi, DRxUGS, Student Governance Association, Orientation Leader, Don v. Adams Leadership—Graduate and American Pharmacist Academy of Student Pharmacist. Jessica’s favorite Leader memory was from going on the LEAD at Sea trip and sitting midship with some of the students and faculty and being able to talk about our various experiences on the trip and at Drake. Congratulations again to Jessica for being chosen as the Student of the Month. November Student of the Month, Ryan! November Student of the Month, Ryan: Congratulations to Ryan Merideth on being chosen as Novembers LEAD Student of the Month. Ryan has been the President of St. Kate's Student Leadership team for the past two years. 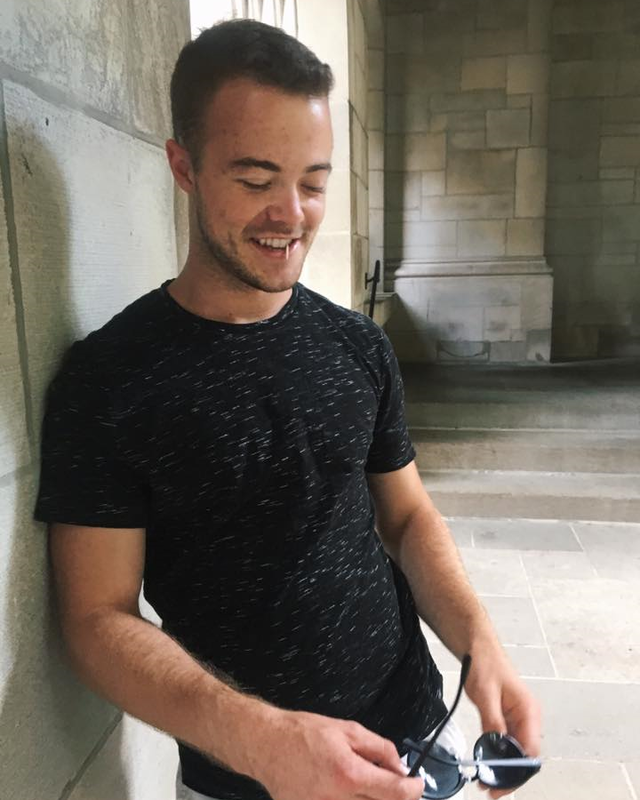 He has also been part of the Fellowship of Christian Athletes and currently serves on the Executive Team for the Drake University Dance Marathon. For the coming year Ryan will serve as the part of the Leadership Team for the Men's Soccer Team. Ryan plans to take his leadership skills into his career as a doctor. Congrats to Ryan on being LEAD Student of the Month!!!! October Student of the Month, Nick! October Student of the Month, Nick: Congratulations to Nick Jenderko for being chosen as October LEAD Student of the Month. Nick has been SAB president, a member of Student Senate and a PMAC for two years. Nick said that his favorite LEAD memory was taking the J-term “Ethical Leadership in the Wizarding World”. Nick has always been interested in leadership and he joined the LEAD concentration because it gave him the opportunity to develop his skills and better understand why leadership is a passion of his. In the future Nick will use these skills to better understand how to teach leadership in and out of the workplace. He says the skills have helps him in his classes because every professor incorporates leadership. Congrats to Nick on being LEAD Student of the Month!!!! September Student of the Month, Christian! September: Congratulations to Christian Fabor for being chosen as the Lead Student of the Month for September! Christian was chosen because of his work as a Resident Assistant in GK and his service project in his LEAD class this semester. Christian said that his favorite memory in the LEAD program was going on the LEAD at Sea J-term. He got involved in LEAD because he wanted to make a strong impact no matter what he is involved in. The LEAD program has helped him to better understand his role as a leader and a follower. Through the program Christian has been able to ask "why I do what I do and what I can learn from each situation."